The .mov video format is a popular Apple video format within the QuickTime platform. MOV is an exclusive format, so you’ll often have trouble playing these types of files on other non-Apple devices. Wondershare Video Converter Ultimate is a software that can help you easily convert .mov files to formats that your Android, Windows or game console platform can recognize. Follow the steps below to convert mov to mp4 using Wondershare and start enjoying your converted .mov videos on your smart TV, computer or smart phone. Step 1. Open the MOV file that you want to convert. Step 3. 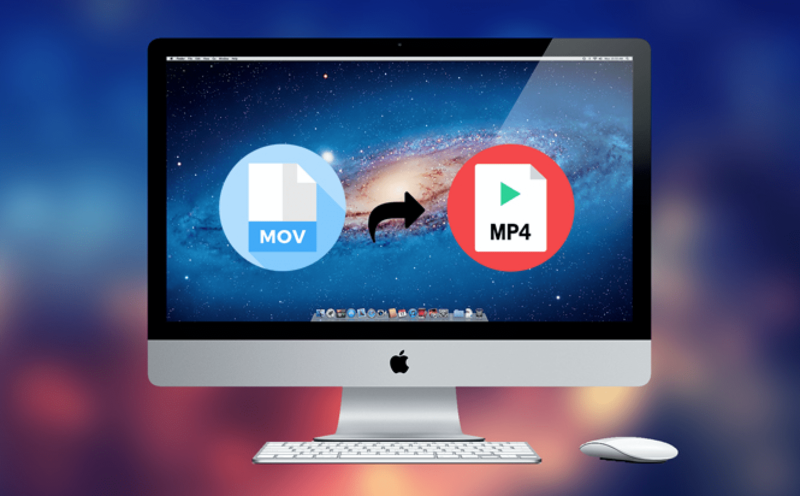 Click on the “Convert” button and wait for Wondershare to convert the video into an mp4 file. For advanced users, there’s an option to edit a few parameters and settings. You can create an effect, rotate, crop or add a watermark, or change the audio or the output format and its directory path. Wondershare Video Converter Ultimate supports a range of video file formats, including AVI to MOV, MP4 to MPEG, WebM to MP4, TS to MP4. There are more than a thousand input-output combinations to choose from. The free online video converter is limited to only being able to convert standard audio or video formats, and the download function can only work on YouTube videos, but the converter software definitely gets the job done while delivering quality output videos. When you buy the Ultimate, you can convert online videos, convert non-protected audio and video files and record video. What’s more, the ability to convert multiple files becomes available. You can merge all your MP4 videos into a single file for the utmost convenience. Burning and ripping DVDs will also be unlocked. The Mov to Mp4 video converter software has excellent features including GPU Acceleration and Multi-Core Processor Optimization. Conversion speed increases via supported hardware acceleration technology of Intel HD, NVIDIA, NVENC and CUDA graphic cards. Take advantage of this feature to get up to 30x faster video conversion speed. Wondershare Video Converter Ultimate is your go-to solution for burning, editing and converting media files. The all-purpose Toolbox delivers the functionalities of a video compressor, GIF maker, VR converter, media metadata editor and can be used to cast to TV as well. Edit your video to suit best the result you would like to achieve. This is a very handy little feature that has made it very convenient for users to change up their video on the go before converting or burning. Large output files can usually be a pain to download and upload. However, with this feature, users have the leisure to compress their videos to a much more manageable size. Not only does it save storage, but it also helps with making the upload a lot easier. Wondershare Video Converter Ultimate also allows you to record video directly. This makes it super convenient if you don’t have a video backed up in advance, making the process and experience very smooth and convenient. A built in DVD burner means you don’t need to rely on another 3rd party software to get the job done. All these additions mean users have the most convenient experience when it comes to handling their videos with Wondershare Video Converter Ultimate. For smaller-sized file conversions, you can try Media.io, another great choice of a simple and easy to use Mp4 to MOV converter without the annoyances of watermarks and ads. The free mov to mp4 online converter boasts lightning quick conversion speed that’s faster than most other online converter tools on the web.